The trend of retired judges taking up post-retirement posts has drawn heavy criticism over the years. New Delhi: Many of the 47 Supreme Court judges who have retired over the past decade went on to take up post-retirement jobs. While some were appointed as chairpersons of tribunals, one was made governor. Of these 47, at least 26 accepted government jobs while 13 started practising law again. The status of six judges’ life post-retirement is unclear, while only two declared that they will not accept post-retirement jobs. The idea of retired judges taking up government postings has evoked much controversy over the years, with the Bharatiya Janata Party (BJP) leading the charge against the trend while in opposition. In 2012, senior party leaders Arun Jaitley and Nitin Gadkari, now union ministers, had suggested that the clamour for post-retirement jobs was affecting the court’s judgments. However, the current NDA administration has not exactly refrained from making job offers to retired judges, having appointed at least 12. The remaining 14 were appointed under UPA I and II. In light of the central government’s recent decision to appoint Justice Adarsh Kumar Goel the chairman of the National Green Tribunal (NGT) hours after his retirement, ThePrint tracks the journey of Supreme Court judges after their exit from the courtroom. 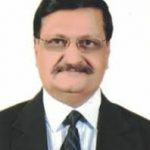 Earlier this year, Justice Rajesh Kumar Agrawal, who retired from the apex court on 4 May, became the head of the National Consumer Disputes Redressal Commission (NCDRC) in June, taking over from Justice D.K. Jain. Justice Ashok Bhan, who stepped down on 2 October 2008, served a five-year term as NCDRC chair too. Justice D.K. Jain had earlier served as the chairperson of the Law Commission for a year from 2013. In 2015, the Centre appointed Justice B.S. Chauhan, who retired from the court on 1 July 2014, as the panel’s chair. He also heads the Cauvery water dispute tribunal. Justice P.V. Reddy, who retired as an apex court judge on 10 August 2010, also served as the chairperson of the Law Commission of India, with a second post-retirement job as chairperson of the Authority for Advance Rulings (an adjudicatory agency for tax matters). Last year, on 11 May, the apex court appointed Justice Reddy as the chairman of the National Judicial Pay Commission, which will look into the pay structure of judicial officers in the subordinate judiciary and examine their working conditions. Justice P.C. 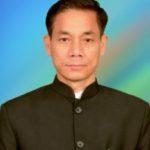 Ghose, who retired on 27 May 2017, was appointed a member of the National Human Rights’ Commission (NHRC), which in turn is headed by former Chief Justice of India H.L. Dattu, who retired on 28 September 2014. Justice Govind Prasad Mathur, who retired on 19 January 2008, also went on to serve as a member of the NHRC. Justice A.K. Ganguly, who retired on 3 February 2012, was appointed the chairman of the West Bengal Human Rights Commission a month later. 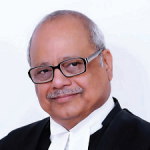 Justice Shiva Kirti Singh, who retired on 11 November 2016, subsequently served as the chairman of the Telecom Disputes Settlement & Appellate Tribunal (TDSAT), succeeding Justice Aftab Alam, who held the post from 2013-2016. 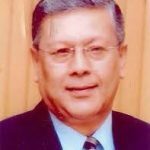 They were both preceded as TDSAT chair by Justice Satya Brata Sinha, who retired on 8 August 2009. 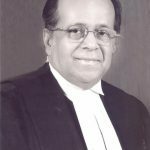 Justice Chokkalingam Nagappan, who retired on 3 October 2016, was appointed the chairman of Tamil Nadu’s state law commission on 17 June 2017. 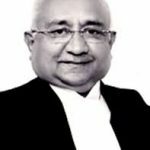 Justice Sudhansu Jyoti Mukhopadhaya, who retired on 14 March 2015, was subsequently appointed the chairperson of the National Company Law Appellate Tribunal (NCLAT). After her retirement on 29 October 2014, Justice Ranjana Desai was appointed as the chairperson of the Appellate Tribunal for Electricity (APTEL). 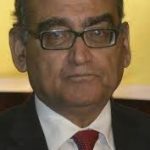 Justice Markandey Katju, who retired on 20 September 2011, was appointed the chairperson of the Press Council of India on 5 October that year. The post was eventually also held by Justice Chandramauli Kumar Prasad, assuming office four months after he retired, on 25 November 2014. Despite a contentious tenure, Prasad was re-elected as the chairman earlier this year. Justice Mukundakam Sharma, who retired on 18 September 2011, subsequently served as the chief of the government-appointed Vansadhara Water Dispute Tribunal, with the appointment cleared at least four months before he stepped down. Justice V.S. Sirpurkar, who retired on 21 August 2011, was appointed chairman of the Competition Appellate Tribunal (CAT). 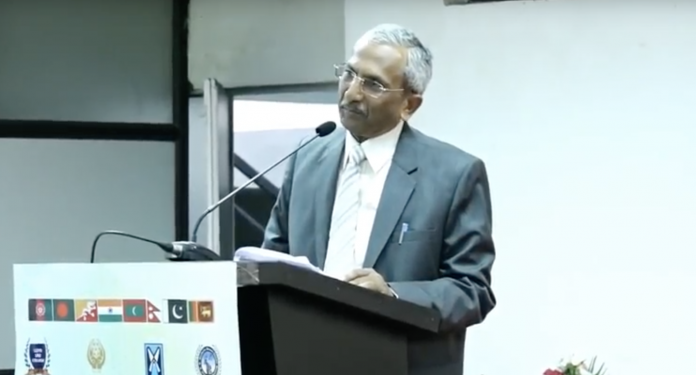 Justice Lokeshwar Singh Panta, who retired on 23 April 2009, was appointed as the chairperson of the then newly-established NGT. 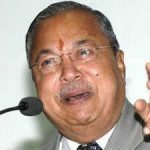 However, he resigned before his tenure was to end and took over as the Lokayukta in his home state of Himachal Pradesh. Meanwhile, Justice P.P. Naolekar, who retired on 29 June 2008, was appointed as the Lokayukta for Madhya Pradesh a year later. Justice Arijit Pasayat completed his tenure as CAT chairperson on 9 May 2012 – a job he was given within days of retiring from the top court. Justice A.K. Mathur, the first chairperson of the Armed Forces Tribunal, got the job within days of his retirement on 7 August 2008. Justice Mathur also went on to head the 7th Central Pay Commission that recommended a salary hike of 23.55 per cent for government employees. Justice H.K. Sema, who retired on 1 June 2008, was soon appointed the chairperson of the Uttar Pradesh Human Rights Commission. 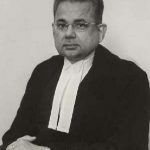 Justice Dalveer Bhandari, meanwhile, was elected as a member of the International Court of Justice (ICJ), five months before he was to retire from office. On 21 November 2017 he was re-elected to the international court. 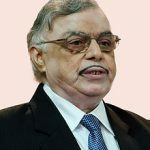 Kerala governor Justice P. Sathasivam has been in office since August 2014, the year he retired as the 40th CJI in April. A few judges, however, have chosen to not accept post-retirement jobs, including Justice Jasti Chelameswar, whose career ended last month on a controversial note on account of his criticism of the government’s alleged interference in the judiciary. His brother judge Justice Kurian Joseph has also announced that he will refrain from taking up a job after he retires in November. Former apex court judge Justice Venkate Gopala Gowda, who retired in October 2016, had said that post-retirement jobs “amount to betraying the oath of your office”. “A judge should not keep an eye on a post after he retires. It means he is dishonest. After you retire, you get a pension that is sufficient. How many people don’t get three square meals a day? 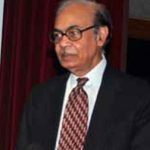 (As many as) 74 per cent of the people earn less than Rs 5,000 a month and I get a pension of Rs 70,000 a month,” he said in an interview to Bar and Bench. Whether former apex court judges Amitava Roy, P.C Pant, M.Y. 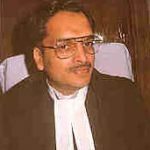 Eqbal, H.L Gokhale, Gyan Sudha Mishra, and the late former CJI Altamas Kabir took up government posts remains unclear. Some of their colleagues, meanwhile, took their retirement as an opportunity to return to legal practice, with many involved by various bodies for arbitration. Former CJIs T.S. Thakur and J.S. Khehar were empanelled as arbitration experts, as were Justice K.S. 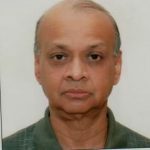 Panicker Radhakrishnan, Justice Deepak Verma, and Justice S.S. Nijjar, NCLT appointed Justice G.S. Singhvi as an administrator in the dispute between McDonalds and an Indian franchisee. Some, meanwhile, went on to head committees formed to investigate issues in depth. For example, the apex court appointed Justice Radhakrishnan to head the SIT that reexamined the 1984 Sikh riots case, aided by former Supreme Court judge Justice J.M. Panchal. 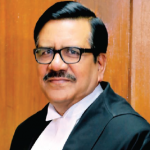 Justice Panchal, who retired on 5 October 2011, was also tasked with resolving the dispute between Karnataka, Goa and Maharashtra over the Mahadayi river. The Supreme Court asked Justice R.V. Raveendran to lead the National Investigation Agency probe in the Hadiya ‘love jihad’ case, but he refused. Meanwhile, Justice FMI Kalifulla was requested by the Madurai bench of the Madras High Court to check the flow of money during the 2018 Tamil Nadu and Puducherry Bar Council elections. Less than a week after he retired on 14 January 2010, the apex court appointed Justice Tarun Chatterjee to settle a boundary dispute between Arunachal Pradesh and Assam. Former CJI Justice R.M. Lodha, meanwhile, had the most high-profile post-retirement run in recent years, as he single-handedly attempted to reform Indian cricket’s apex administration body, the BCCI. Justice Vikramjit Sen and Justice Anil Dave were among many who went on to take administrative roles in cricketing bodies.